Almost by definition, anything with a Leica badge on it is a niche product - there aren’t too many hobbyist photographers who would consider the high asking price of Leica’s products to be within their reach. The fact that the Leica Super-Vario-Elmar-SL 16-35mm f/3.5-4.5 ASPH offers an ultra-wide-angle of view, perhaps makes it a double niche, being primarily of interest to landscape and architecture photographers. However, being as it goes from super wide to a normal focal length of 35mm makes it conceivable as an “everyday” lens to spend a lot of time on your Leica SL. It’s ideally suited for landscape and architecture photographers, yes, but it’s also well-suited for a number of other subjects - it could be useful for event and wedding photography for example, when trying to photograph large groups, or trying to get a wide scope of a room into the shot. Images taken with the Leica Super-Vario-Elmar-SL 16-35mm f/3.5-4.5 ASPH are very sharp, with a good level of detail displayed edge-to-edge. You get a little distortion when shooting subjects very closely to the lens at the widest part - especially if you’re photographing a building and you tilt your camera up. Otherwise, however, it does a good job of incorporating a wide view without too much obvious distortion visible. As is usually the case with Leica products, the Leica Super-Vario-Elmar-SL 16-35mm f/3.5-4.5 ASPH is not a cheap proposition by any means. Of course, most Leica photographers won’t be too concerned about price, but the fact that this offers a good degree of flexibility, going from super-wide to a documentary style 35mm, means you might arguably consider it to be decent value for money. While this lens can’t match a prime 35mm lens in aperture - at 35mm, the widest aperture available is f/4.5 - it’s handy to be able to switch between ultra wide and 35mm very quickly and easily. This lens is rather on the large and heavy side - it’s good news for a feeling of sturdiness, and perhaps reflects how rugged it is, but it does arguably leave less room in your bag for other options. 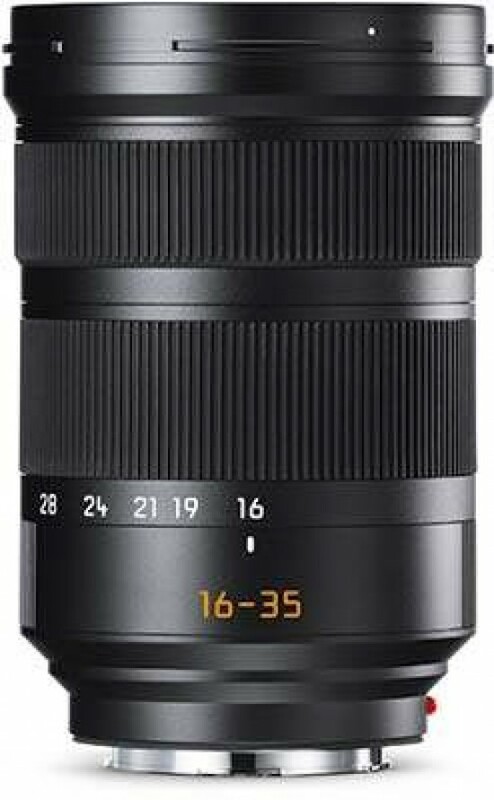 Overall, the Leica Super-Vario-Elmar-SL 16-35mm f/3.5-4.5 ASPH is an excellent lens for SL users who need something ultra-wide. It’s the widest lens you can get for the SL - including zooms and primes - but it’s also a relatively flexible option as it incorporates other popular focal lengths of 24, 28 and 35mm.